2015 is almost upon us and if 2014 wasn’t as great a year as you had hoped, you may be looking to make some changes for the New Year. If bugs were constantly pestering you in 2014, there are a few things that you can resolve to do differently to prevent that from being an issue in 2015. Here are a few of the changes you may wish to implement to deter pests in 2015. If you store firewood right next to your home, you may be leading wood-eating pests such as termites and carpenter ants right to your home. These pests may come in to your area when you buy the wood or find the area because of the wood. Regardless, they can easily move from firewood to your wood siding, stairs or deck if firewood is stored directly by these items. Instead, store your firewood 20 to 30 feet away from your home, or any other wood structures around your home, such as decks or outdoor storage sheds. Also, it is important to inspect your firewood about once every month for signs of wood-eating pests. If wood-eating pests are present, you will want to spray the wood or remove it from your property to ensure the pests do not make their way to your home. The longer they are allowed to sit and multiply on the wood, the more likely it is they will find your home, even if the wood is stored away from your house. Bugs, rodents and other outdoor pests can easily come into your home if there are cracks around your window frames, door frames or in the siding of your home. A crack or gap in these areas is basically an open invitation to pests to come out of the hot or cold outdoor weather and into your temperature-controlled home. 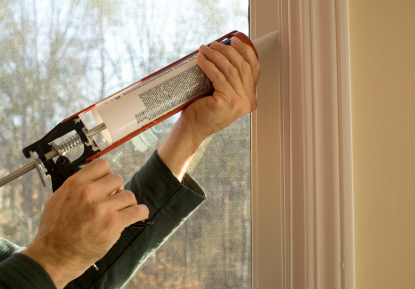 Many people hate taking the time to seal their exterior. However, resolving to seal your can help keep pests out, while also helping you to decrease your energy consumption. Many of the pests that enter your home, such as ants, cockroaches and mice, are in search of food. Unfortunately, if they find the food they are after, they are likely to bring their family and friends to your home and make it their own. Luckily, you can prevent this from happening by properly storing your food. Storing food in airtight containers helps prevent these pests from having access to your food, which decreases the likelihood they would want to live in your home. Pests don’t care if the food they have access to is human or pet food, so seal all of the food in your home to deter these pests. Hiring a pest service may cost a little bit of money, but it is one of the best ways to ensure that pests are kept at bay. A pest control specialist can walk around your home and look for signs that pests may be near or may have already started to inhabit your home. Unfortunately, you may miss many of the early signs that pests are hiding around or in your home. 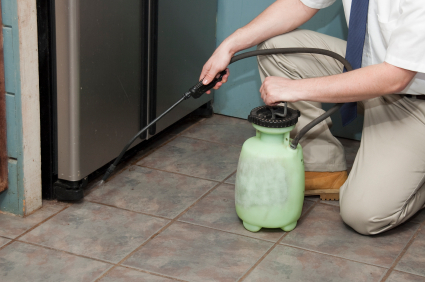 Additionally, a pest control specialist can spray pesticides that the average person does not have access to around the perimeter of your home, helping to ensuring that common household pests, such as spiders and ants, don’t enter your home. If you want 2015 to be the year that your home finally stays pest-free, resolve to take action to prevent these pests from bothering you any longer. 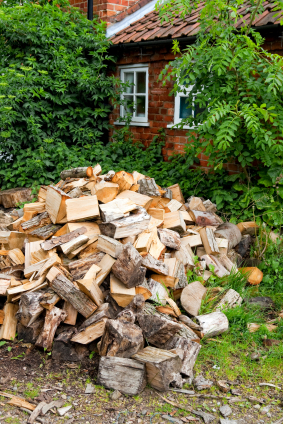 Storing your firewood away from your home, sealing your home’s exterior, properly storing food and hiring a pest service are all great ways to keep bugs away once and for all.